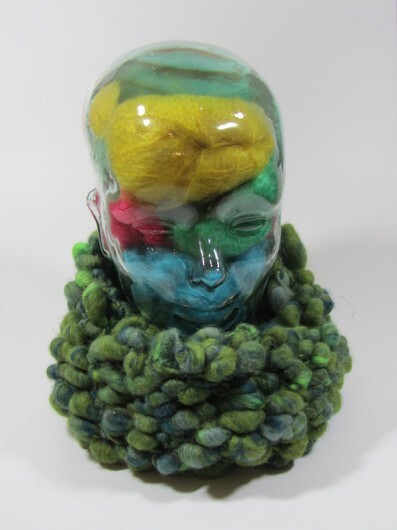 This skein of Knit Collage “Pixie Dust” was a Christmas gift. 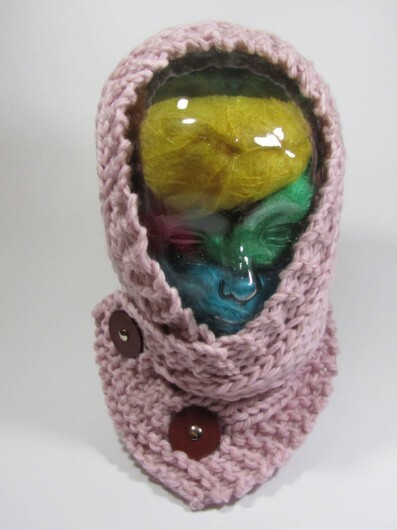 I love the colors but have no experience knitting with this type of yarn. 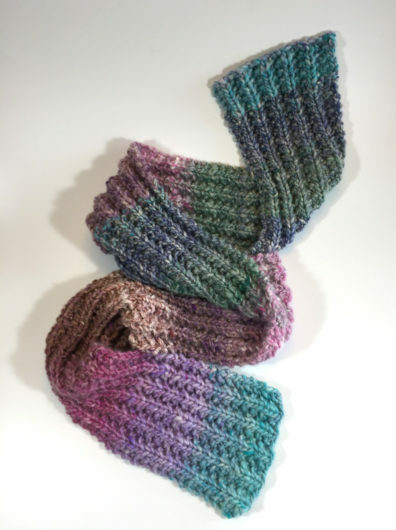 Thirty-five yards, 97 percent wool, 2 percent mohair, and I’m thinking that sparkle is the 1 percent “other.” So, clearly this needed to be something very simple to just let those yarn blobs pixie away. I very much like to wear close-fitting cowls. They are the no-nonsense coziest. So, all I did was cast on 28 stitches on size 19 needles, in the round. Yep, I own a pair of size 19 circulars with fairly short cables. No one will mistake this for “off the rack!” I like the pebble look of this. The consistent theme for my recently knit cowls has been close-fitting. 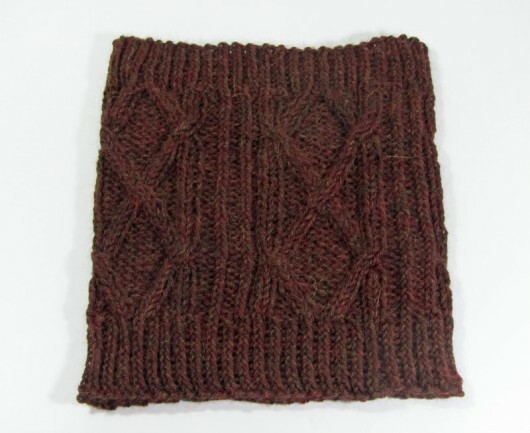 This is the Augustine Cowl, a free Classic Elite pattern by Susan Mills. Here’s a better view that shows the construction more clearly, despite my use of this difficult-to-photograph black shade of Berroco Flicker. Laying flat, my Augustine Cowl somewhat resembles a lampshade. But it’s actually a nice-fitting, well-behaved cowl. The slight bit of easy open work at the top folds back gracefully at the neck. The flared-out bottom fits nicely over the shoulders. Flicker is a chainette yarn, in 87% baby alpaca, 8% acrylic, with the remaining being the sparkly bits. 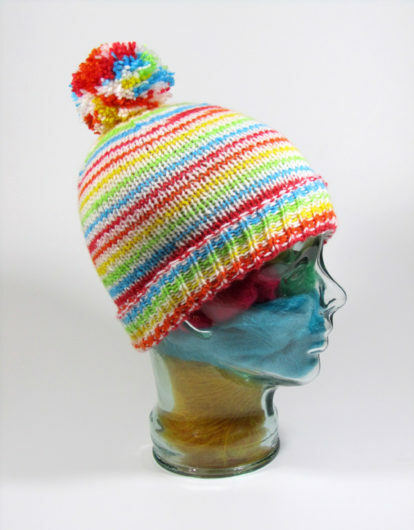 It is unbelievably soft, with absolutely no scratchiness from the tinsel-like filaments. 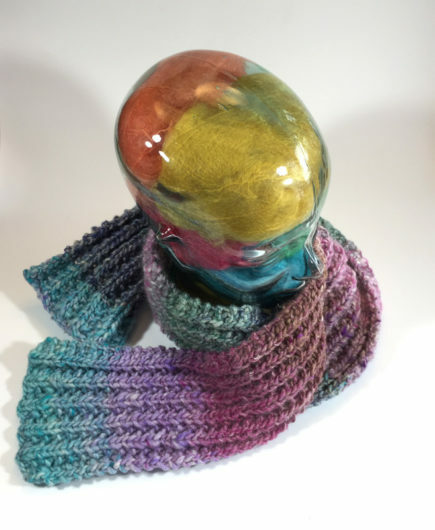 The next two cowls are both knit in Dream in Color Classy with Cashmere, a 20% cashmere, 70% merino, 10% nylon concoction. 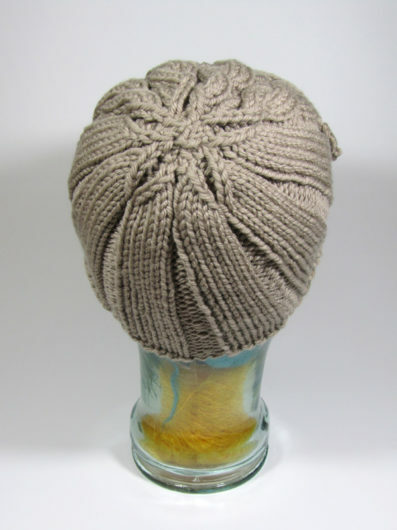 It’s a very soft worsted weight. I liked everything about working with it, except that this Amethyst Ink colorway inked my hands and everything in the vicinity of the work (including rubbery stitch markers) a deep purple. Ick. A Eucalan soak seems to have solved the problem. 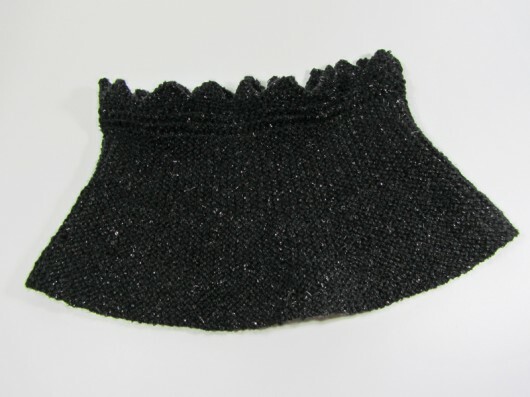 This is Purl Soho’s Structured Alpaca Cowl. 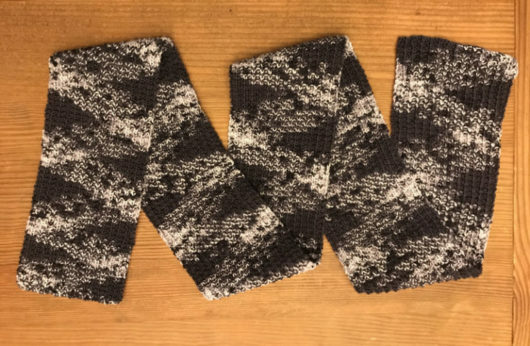 It is a super-easy free pattern. 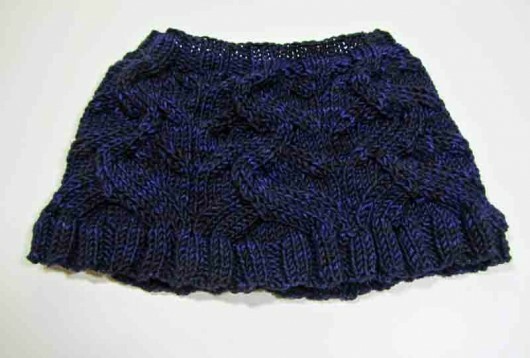 My only modification was to work eight rather than nine repeats of the pattern. I wasn’t sure I had enough yarn left for the 9th repeat and it seemed to me to be tall enough with eight. 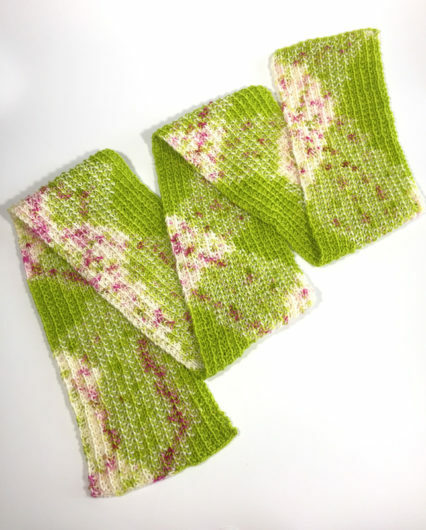 Again, the construction isn’t evident, but check out the Purl Soho link for a look at it in a light-colored yarn. 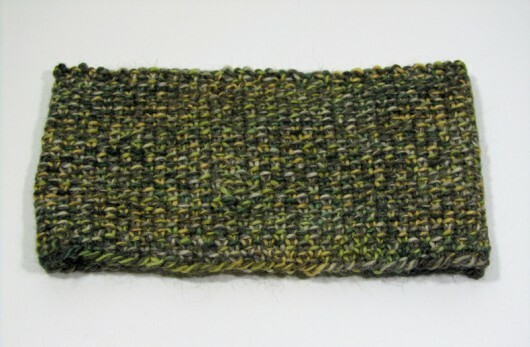 The tab in front is one-by-one rib, knit through the back loop. You cast on stitches to continue working in the round. 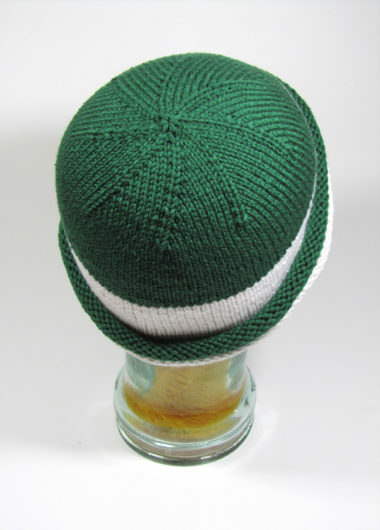 The front section is stockinette with some interesting decreases at each edge. And the back section continues the same ribbing as worked in the tab. This one is going to be great for chilly mornings in the kayak. 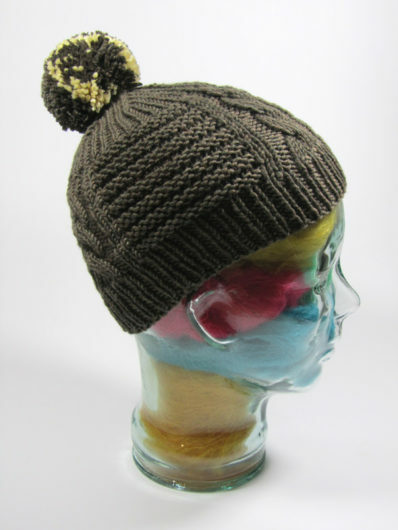 Here’s the same Dream in Color, knit in an easy meandering cable. 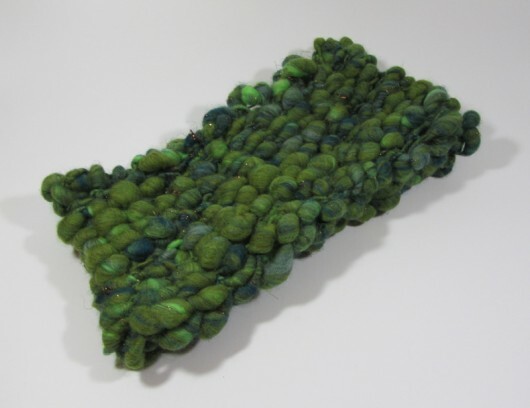 It’s Angela Hahn’s Serpentine Cowl. 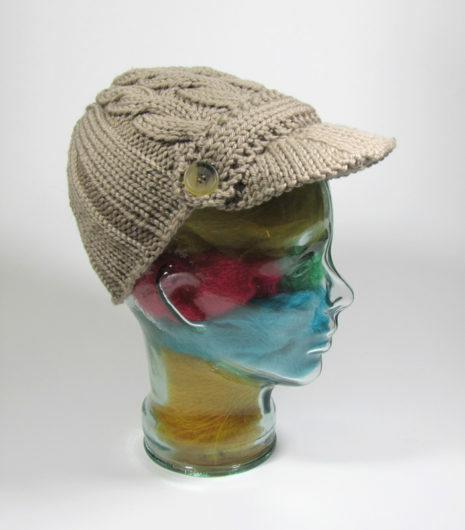 The pattern is included in the Craft Tree Collection, “Easy Knitted Accessories,” and was also published in Interweave Knits 2011 Accessories magazine. 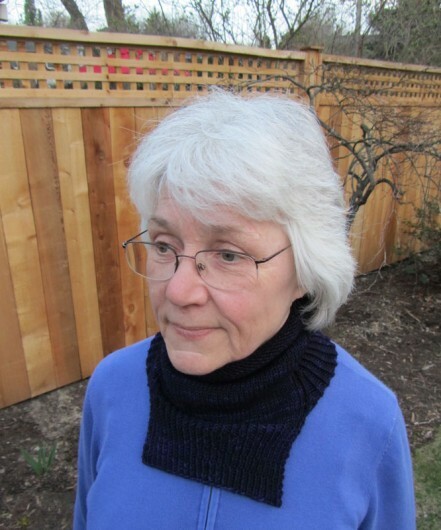 Again, what I most like is the way the cowl hugs the neck and lays nicely on the shoulders. 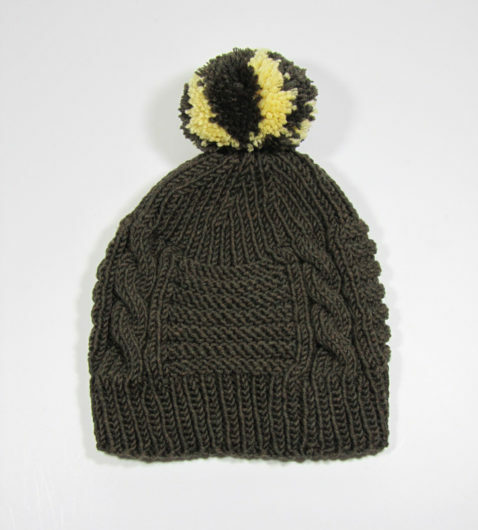 More than 1500 Ravelers and many members of my Black Sheep Knitting Guild, have knit Kirsten Kapur’s Chickadee. 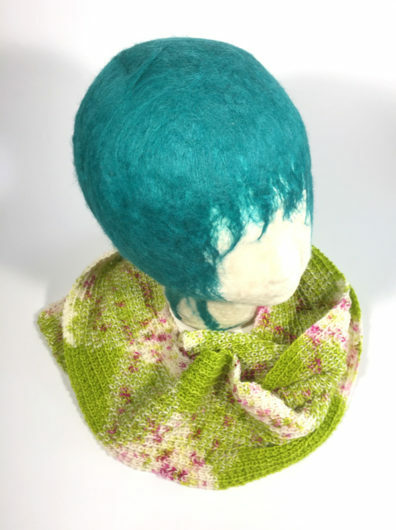 It’s an easy linen stitch cowl. 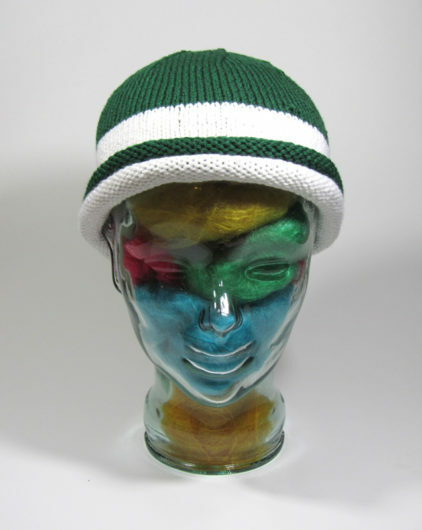 The pattern’s available free on Ravelry. 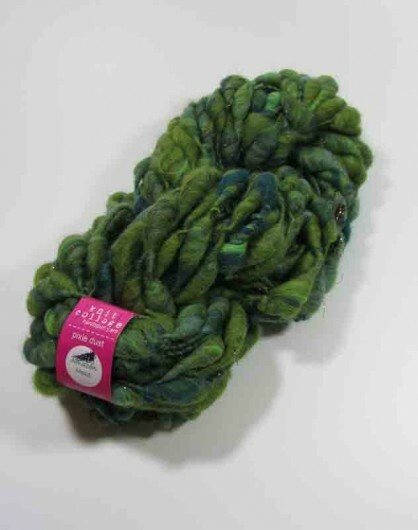 Mine is knit in Mirasol Maylla, a next-to-the-skin soft yarn of 45% alpaca, 40% wool, 15% bamboo. False Creek is an interesting quick-knit, worked up here in Cascade Lana Grande on Size 15 needles. 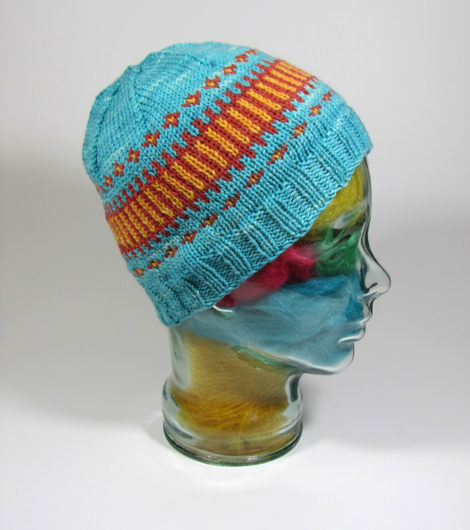 The design is by tincanknits’ Emily Wessel and is available as a single pattern or as part of the Pacific Knits ebook. There’s a lot of “give” in those size 15 stitches. 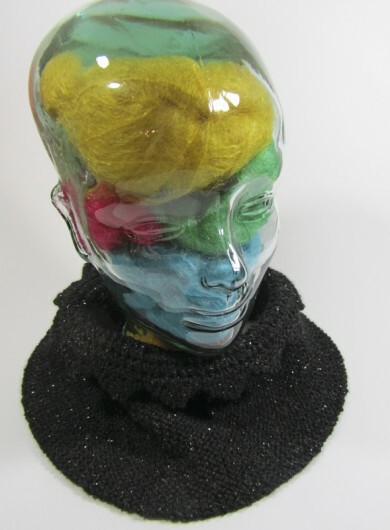 In a pinch, this cowl can do double duty as a head-hugger. If you’re wondering, those are JUL Designs “pedestal” leather buttons. They screw in place with that center brad. 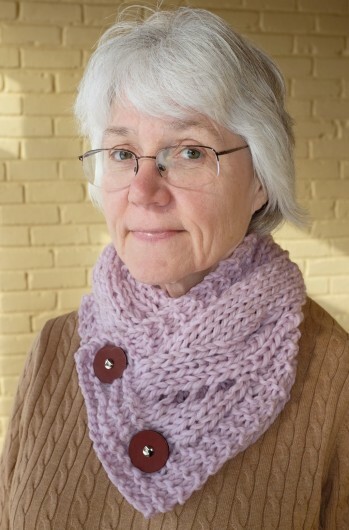 This next cowl is a return to the close-fitting style: tincanknits’ Alexa Ludeman’s Lions Gate. 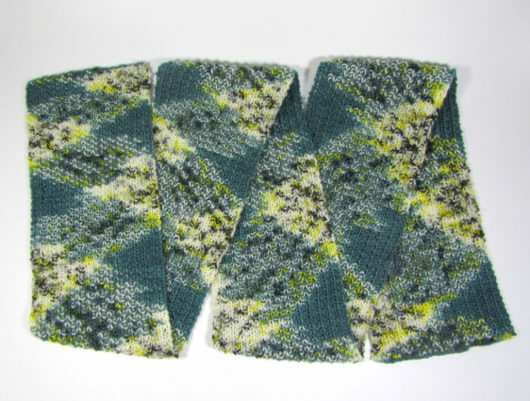 Like False Creek, the pattern can be purchased individually or as part of the Pacific Knits collection. 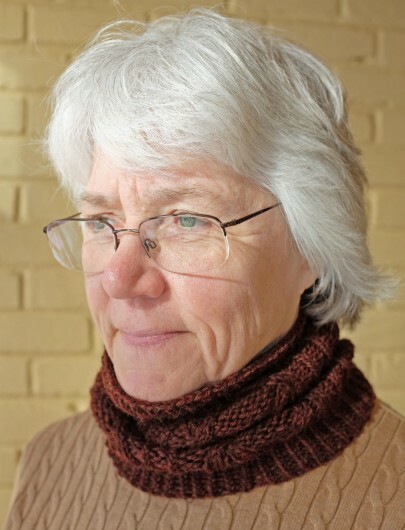 I knit the 96-stitch version, shown here in Cascade Yarns’ Alpaca Lana D’Oro.